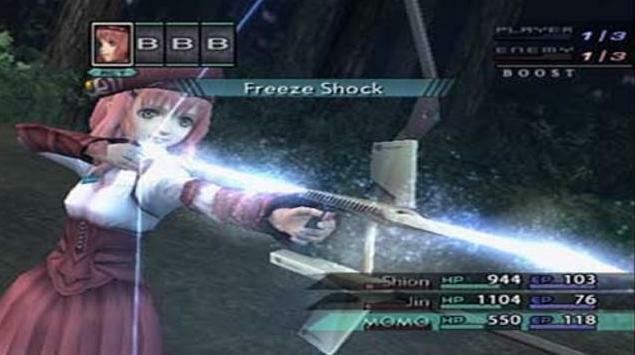 Tekken series producer Katsuhiro Harada has recently posted a tweet responding to fan demand for an HD remake of the Xenosaga trilogy. The main gist of what he said was that the decision is based on the amount of fans and that they need “tens of thousands” of fans to show their support. Specifically he claims that voices from many unique fans would be far more convincing and that they find it hard to believe people who say that they will buy 100 copies, which I feel is a reasonable thing to be skeptical about. While “tens of thousands” may sound like quite a lot to some people, I should remind you all that the Xenosaga series has sold over two and a half million units worldwide. In addition to that, there is also the large amount of people who have likely heard of the series but have not gotten the chance to play them. Either way, I think you should all know the drill by now; let him know if you are interested in seeing Xenosaga HD Trilogy happen! My name is Annie Gallagher. I am 20 year old trans girl who has yet to go through any form of transitioning, just to explain the profile pic. I have always had an interest an interest gaming, but the more time I spent with this interest, the more knowledgeable and devoted I have become to it. I am typically not the type of girl who would stay up all night playing one game, but I would be lying if I said that I did not think about them every day at one point. I generally tend to take a lot of interest in the much lesser known and niche games simply because I like the idea of discovering something that no one else has. However, that does not mean that I dislike popular games. My personal favorite game genres are JRPGs, visual novels, horror games, and platformers, and basically anything with a good story. I am also a person who enjoys being able to share my own opinions with other like minded people.